Philip Henry Morton was born on 16 February 1862 at Numbaa, Shoalhaven, NSW, eldest son of Henry Gordon Morton, surveyor and estate manager, and his wife Jane, née Fairles. He married Isabel Honeyman, daughter of David and Jessie Hay, of Parua Bay, New Zealand. She died at Woollahra, NSW, in 1923 and he died at Sydney on 14 April 1932. His faith was Church of England. Philip Henry Morton was educated at Numbaa Public School. He joined the staff of the Commercial Banking Company in Sydney, becoming manager at Gellingen, Nyngan, Byrock, and Berry. The Morton’s were a prominent family in the Shoalhaven district. His father, Henry Gordon Morton, was a surveyor for the Berry Estate and also the first mayor of Numba. In 1886 Philip Morton joined his father in the management of the Berry Estate. He was president of the Berry Agricultural Association and was council member of the Royal Agricultural Society. Morton was director of the Australian Joint Stock Bank Ltd after the 1893 financial crisis and was for some years manager for the Scottish Widows’ Fund Investment Society and Chairman of the Australian Bank of Commerce. He became managing director of the Gloucester, Eton Vale, and other Closer Settlement areas. He was also part owner of dairy studs and other properties in New South Wales and in Queensland. He raised cattle, bred horses and engaged in dairying. In 1905, he was manager of the Barrengarry Stud Farm, Canning Downs Estate Ltd, and the Bannockburn Estate with his offices at Royal Chambers, on the corner of Hunter and Castlereagh streets. His private residence was Pareli in Roslyn Avenue, Kings Cross. His son Philip Henry Morton, known as Pat Morton, was elected to Mosman Municipal Council in 1944 and was Mayor of Mosman in December 1945. He was Liberal member of the NSW Legislative Assembly for Mosman from 1947 until his retirement in 1972, during which time he was Leader of the Opposition (1955-59), and Minister for Local Government and Highways (1965-72). Morton was on the Executive Committee for sending the Australian Bushman’s Contingent to the Boer War in 1900. In 1905 he was a representative of the Japanese Government for the purchase and delivery of 10, 000 war horses to Japan. He was involved in the Royal Agricultural Society and the Shoalhaven Agricultural Society. Morton was also a Trustee of the Art Gallery of New South Wales. He was a supporter of the Volunteer Movement. Morton was elected member of the NSW Legislative Assembly for Shoalhaven on 13 February 1889 and served until 8 July 1898. 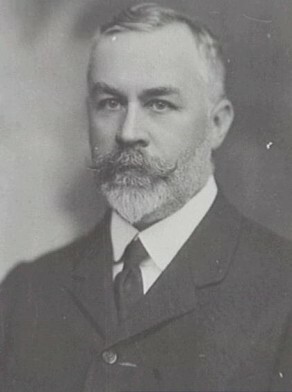 His brothers Mark Fairles Morton (1865-1938) and Henry Douglas Morton (1867-1932) were also both elected to the NSW Legislative Assembly.